Offroad Finnmark 700 is the toughest terrain-cycling race in the world. 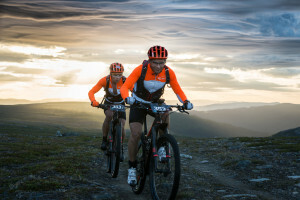 700 kilometres through unspoilt wilderness, all across the Finnmark mountain plateau. The long version of Offroad Finnmark stretches across 700 kilometres of unspoilt wilderness on the Finnmark mountain plateau. Team CKL Denmark / MTB Racing Star, the Danish winners in 2016 completed the race in 68 hours and 40 minutes, obligatory rests included. Noone is allowed to ride alone, teams consist of two or three persons. 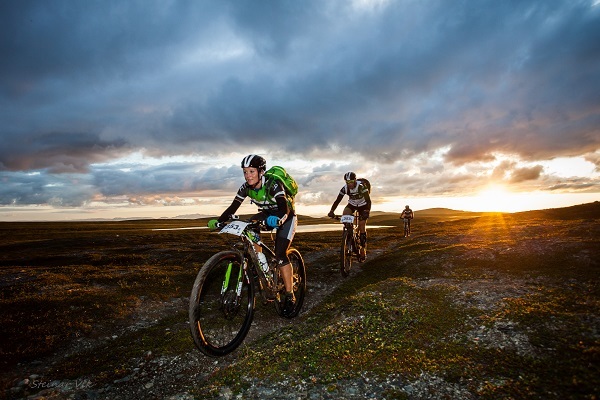 The trail follows offroad paths, trails and cart roads on the Finnmark mountain plateau. Certain stretches have no paths whatsoever, making the cycling extremely demanding. 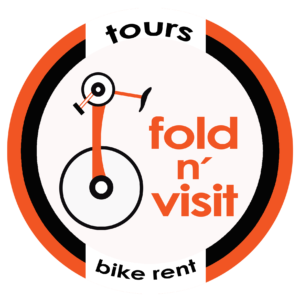 In certain areas the riders have to carry their cycles. Hundreds of streams and a few rivers of various sizes have to be crossed. In of700 the riders have to climb approximately 9-10.000 metres. The race would not be possible to complete had it not been for the midnight sun. 24 hours of daylight ensures that the race can be completed without halt through three full days. The participants cycle day and night along the trail. When they reach one of the checkpoints, they make a obligatory stop for five minutes. On of700 there are three additional stops measuring three hours each. Offroad Finnmark does in other words not end before the last rider has finished, there is always someone riding. The checkpoints are mountain lodges, schools and community houses. At the checkpoints the riders are given food, drinks and an opportunity to rest. The riders can also receive help and service to their bikes at the checkpoints. The riders are tracked by an app installed on their own cellphones. All riders can be tracked directly through a map, online or through a specially designed app. Riders in the race are exceptionally vigorous amateurs, and the prototype participant is a man of approximately 40 years of age in prime condition. On the start list for Of700 in 2016 we found competiors from Norway, Denmark, Sweeden, Finland and Netherland. 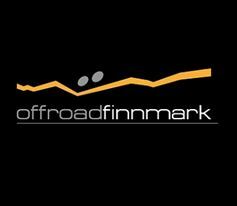 Offroad Finnmark distinguishes itself through a high level of service. An impressive (more than) 180 volunteers strive to make the event a success. Caring for and attending to the needs of the riders, the volunteers are found all along the routes, on the mountain plateau, in the wilderness and near the start and finishing areas. All inclusive package: Monday 31st until Sunday 6th August. Food and lodging as well as full support during the race. Lodging on mattress in classroom/group/gym room on a School outside of race. Food included except dinners. Banquet, finisher shirt and competitor prize (1/3). Before 15/4 9100 NOK. Race only package: This package is for those who don't need food and accommodation offered by Offroad Finnmark before and after the race. The riders will provide for themselves before and after the race. Full support during the race Banquet, finisher shirt and competitor prize (1/3) is included. Before 15/4 8100 NOK.